HMS St Albans (F83) is a Type 23 Frigate of the Royal Navy ,she is the sixth ship to bear the name and is the sixteenth and final ship in the Duke class of frigates. The ship was launched on the River Clyde on Saturday 6 May 2000. 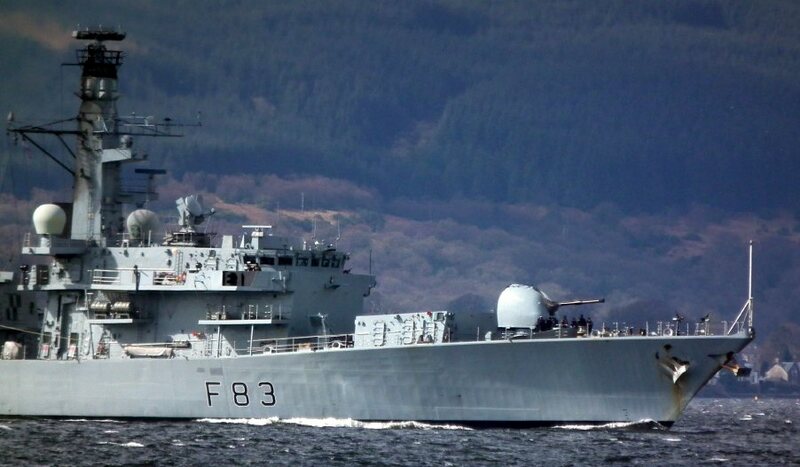 She was built at BAE Systems Yarrows Yard in Scotstoun, Glasgow. On the 27 October 2002, before she had even entered operational service, HMS St Albans was struck by the P&O ferry Pride of Portsmouth when gale force winds pushed the ferry into the ship whilst secure on her berth in Portsmouth. 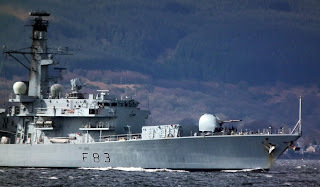 HMS St Albans suffered damage to the gun deck; the sea boat supports (davits) and the bridge wing. However, no members of the crew were injured.